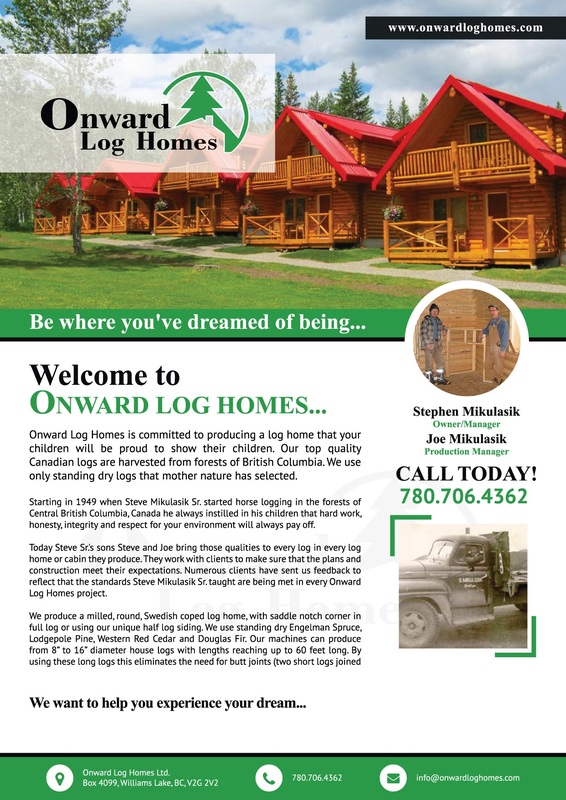 Onward Log Homes specializes in creating a consistent diameter log ranging from 8 inch -16 in. 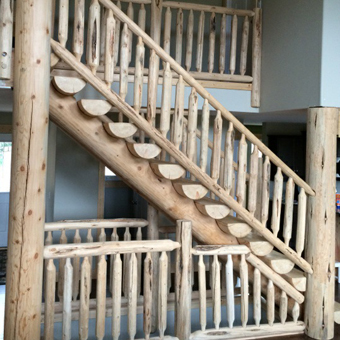 and up to 60 ft in length. 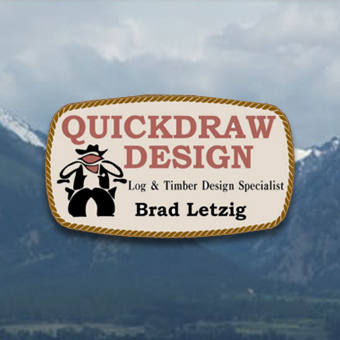 We use the tried and trued technique of the Full Weight Bearing Swedish Cope for the lateral groove between each course of logs and a precision cut saddle notch in the corners. 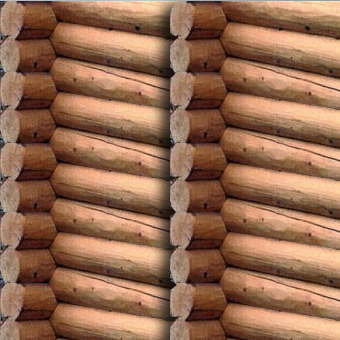 This technique is incorporated into the design of all Onward Log Home structures. 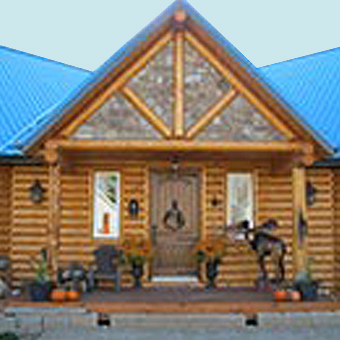 Your log home will be reminiscent of the traditional log homes that our forefathers built but with the structural benefits of today's fastening and joinery techniques and our modern designs. 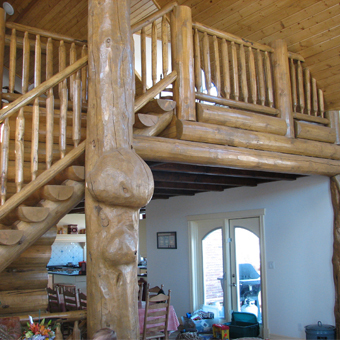 The machined logs are grooved and notched according to the house plans. 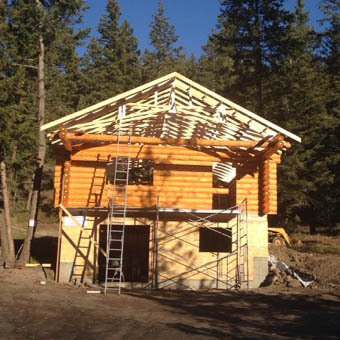 The final touch is added last by hand-peeling, which gives the logs the rustic look desired by most log home enthusiasts. 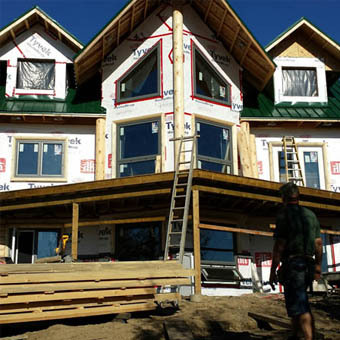 These features, plus our outstanding customer service, provide our family-run business a solid place in a growing industry. 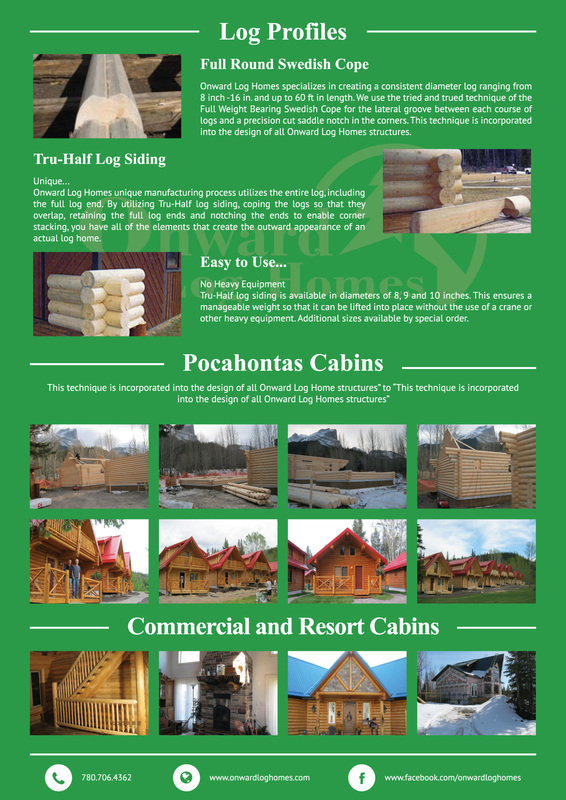 Onward Log Home's unique manufacturing process utilizes the entire log, including the full log end. 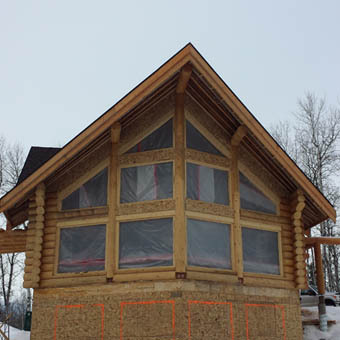 By utilizing Tru-Log siding, coping the logs so that they overlap, retaining the full log ends and notching the ends to enable corner stacking, you have all of the elements that create the outward appearance of an actual log home. 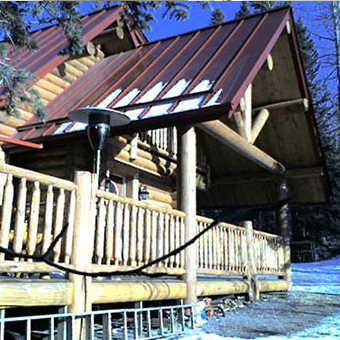 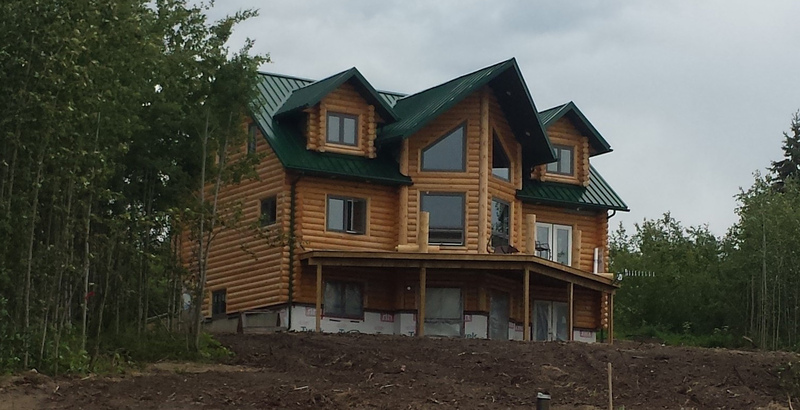 No Heavy Equipment Tru-Log siding is available in diameters of 8, 9 and 10 inches. 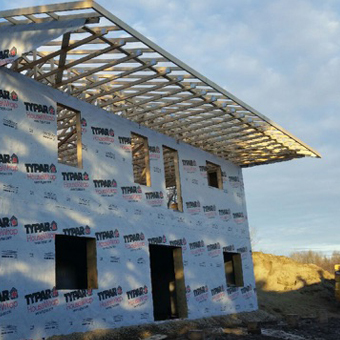 This ensures a manageable weight so that it can be lifted into place without the use of a crane or other heavy equipment. 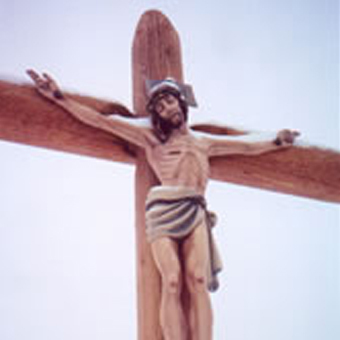 Additional sizes available by special order. 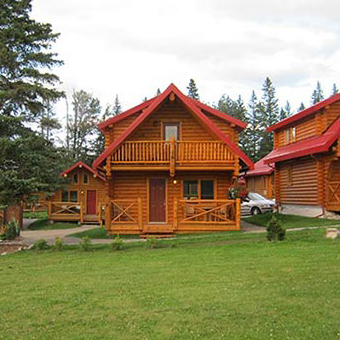 Tru-Log siding is manufacured from logs that have been lathed to a constant diameter. 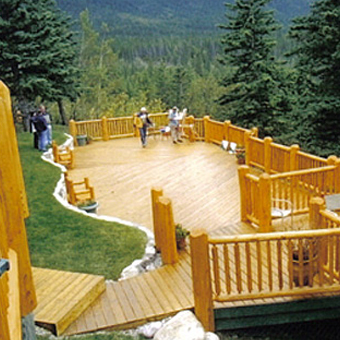 There is no need to install pieces in a predetermined sequence in order to ensure a level surface.